Australian Daniel Merriweather first started working with Mark Ronson in 2003, appearing on his ‘Here Comes The Fuzz’. After a few more collaborations with Ronson, they finally made a solo album for Merriweather that was released in 2009. Influences such as Stevie Wonder and Jeff Buckley are clear without it feeling like a rip-off. Melodic fragments of the two great singers might be found in Merriweather’s songs but this doesn’t disturb the compositions. Instead, it enhances them! Merriweather’s production on ‘Love & War’ might seem like a very full-on arrangement when listening to it for the first time. This may come as a surprise after the simplicity of Amy Winehouse’s ’06 release ‘Back In Black’. This brilliantly showcases his depth as a producer to accommodate the voice of each singer. 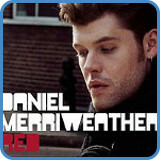 ‘Red’ was the second single off Australian Daniel Merriweather’s second album ‘Love & War’ which was produced by Mark Ronson. Previous to ‘Love & War’, Merriweather recorded an album in 2006 entitled ‘The Fifth Season’. However, this first album was never released. After an initial release of ‘Change’ in February 2009, Merriweather released ‘Red’ in May and entered the UK chart at #5 where it remained for a month. It achieved good circulation on U.K radio stations and was even predicted to become the song of the year by many. The video for ‘Red’ was shot in Brooklyn and directed by Anthony Mandler, a well-known video director with videos by Rhianna, Jay-Z, The Killers, John Legend and Mary J Blidge behind him. The video consisted of a dramatic feast of shadows and angles shot with a handheld camera. Both the video and the song production were in the same style as those of other artists and bands released during 2009 such as The Script, who incidentally is on the same label as Merriweather. Spy Tunes’ version of ‘Red’ is much slower than the original. You can decide what you think works best when you play your own version of this song. ‘Red’ by Daniel Merriweather is in the key of E major and only use the I, IV, V and VI chord throughout the entire song. We get different extensions depending on what chord is used in conjunction with the open strings that keep ringing through all chords. The original recording is a huge production, orchestrated by the genius that is Mark Ronson. Still, take all that away and we still find a great song. 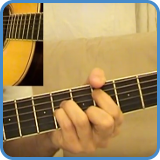 Go to video lessons: Red chords. For complete lyrics, go to Red lyrics.